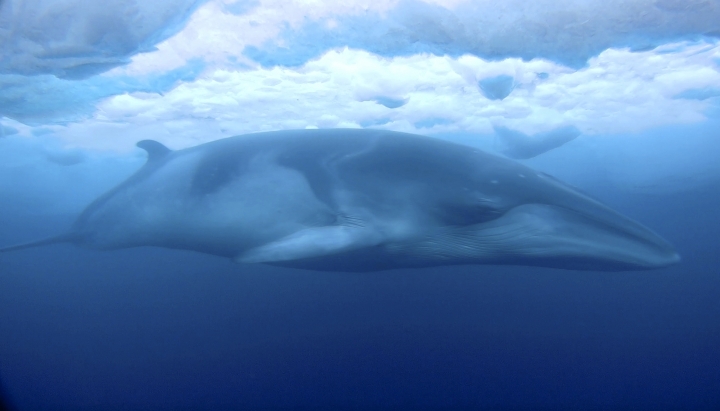 WELLINGTON, New Zealand — Marine mammal expert Dr. Regina Eisert thought minke whales were a little boring until she captured some striking footage of one swimming underwater near Antarctica. Now she thinks they're beautiful. Eisert said the whales look similar from the surface but that she gained a new appreciation for their individuality after seeing the markings on one up close. She said her team got the underwater video by luck. They'd planned to film underwater for two weeks but managed to get just 90 minutes of footage before running into technical problems. 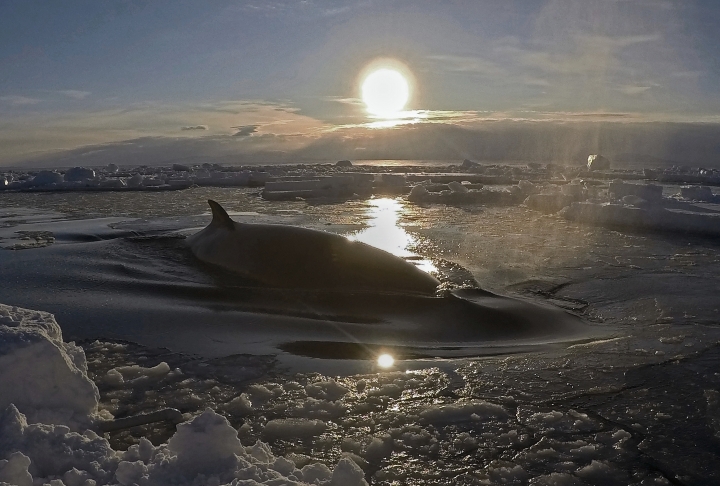 A researcher at the University of Canterbury, Eisert said they were in Antarctica earlier this year mainly to research orcas in the Ross Sea. But she said their observations of minke whales could shed new light on their feeding patterns. "Baleen whales are an important part of the ecosystem, but they're grossly understudied," she said. The conventional thinking has been that minke whales mainly chase krill, Eisert said. But she couldn't see any krill where the whales were swimming, so she thinks they may have been chasing small schools of fish. She hopes they will be able to find out more about what the whales eat after taking a tiny amount of skin and blubber from the minke whales using a modified tranquilizer gun. Eisert and her team got their footage after being dropped by helicopter on sea ice not far from two research stations, New Zealand's Scott Base and the American base McMurdo Station. The U.S. Coast Guard icebreaker Polar Star had earlier cut a channel through the ice to allow the stations to be resupplied, which Eisert said also provided a kind of highway for the whales. She said there had been very little study of minke whales in the Ross Sea region, despite there being over 100,000 in the area. The cost and difficulty of studying them in such a remote and inhospitable place had been a deterrent, she said. Eisert's research, sponsored by The Pew Charitable Trusts, will examine the effect of a new marine protected area on the Ross Sea ecosystem.